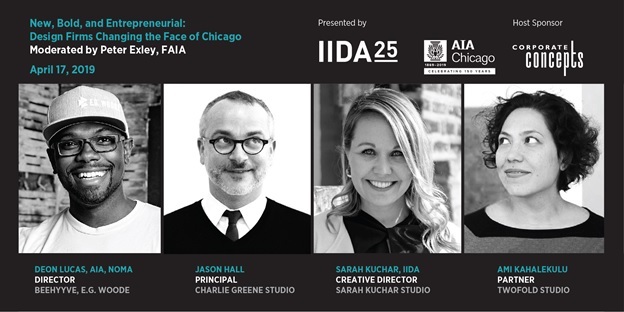 Designers and Architects Talk: Design and its Impact on Client Success is a three-part series presented by IIDA (the Commercial Interior Design Association) and AIA Chicago to address commercial interior architecture and design. Both architects and commercial interior designers will learn from the provocative discussions about projects, firm leadership, and design strategy. All programs take place at the national headquarters of IIDA and include a reception. Continuing education will available for both architects and commercial interior designers. Student members of IIDA, AIA, and AIAS will receive a free ticket with the student promo code; limited free tickets available. Contact IIDA or AIA Chicago for details.